Well this is one of the best shrimp dishes I have ever made, hopefully everyone agrees. Not too salty and not too sweet. 1. 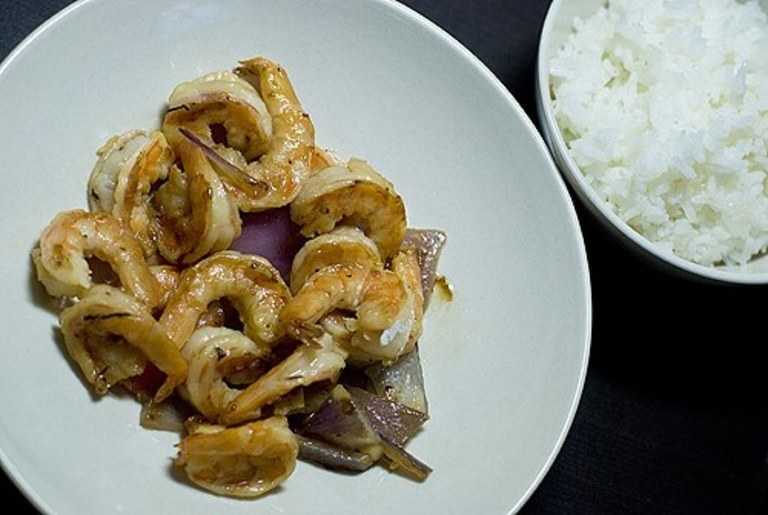 The night before butterfly cut the shrimp and marinate with a mix of minced garlic, onions, soy sauce, a little rice wine, sesame oil, and black pepper. 2. Next day take it out and pan cook in high heat. 3, Cooke until the shrimp is pink inside and orange outside. Then serve. Enjoy.